A key part of the Simcoe Muskoka Opioid Strategy is the expansion of harm reduction services for those who currently use opioids. 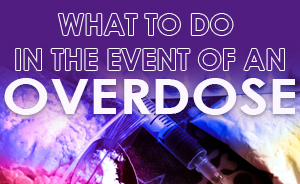 Naloxone, or NARCAN as it is also known, is the antidote to opioid poisoning and reverses the effects of opioids that cause breathing to stop. This antidote is available to anyone, free of charge, who believes that they may need to use naloxone for themself or for someone else. Below you will find a list of the Simcoe Muskoka locations, including a Google Maps reference, where you can pick up a free naloxone kit. Some kits contain injectable naloxone, while others contain naloxone in a nasal spray format. *Not all pharmacies carry naloxone kits. Call ahead to check if your pharmacy has naloxone kits in stock. Stop Overdose Ottawa is the one stop shop for information on harm reduction. Providing information on safer partying, naloxone, and ​fentanyl, it can be your resource for more information for yourself or your friends!